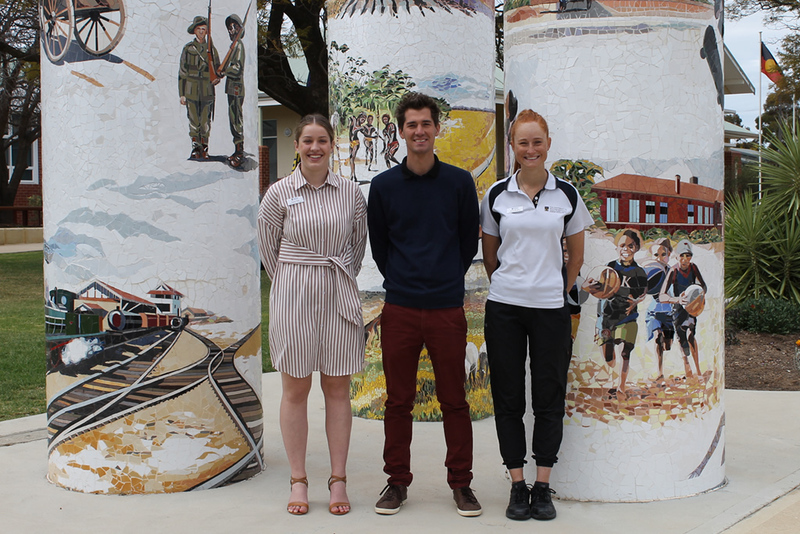 Merredin College has enjoyed hosting three final year teaching practice students. This occurred over the last seven weeks of Term 3 in secondary. Stephan Erasmus eagerly joined the Science team under the supervision of Alyce Rogerson. Emma Potts was a welcome addition to Humanities and Social Sciences (HASS) and Mathematics, supported by Rebecca Ryan and Nathan Tibbits. Dave O’Neill enjoyed the opportunity of providing an enthusiastic Sarah Murphy with teaching experience in Physical Education. We all know that teaching in a country school such as Merredin College provides the BEST kind of practical experience and do hope that Stephan, Emma and Sarah find themselves in a rural school at some stage. We need great teachers for our children!